So we want the kind of soulful, nurturing, sustaining love in a partner. Yes, we want our children to flourish, but we also want to flourish. We want a career that lights us up and contributes in a big way (both to the organization and to ourselves). We want to know – deep down in our soul – all that we are capable of. This may make some people in your life uncomfortable. They will want you to stop changing and go back to who you were. 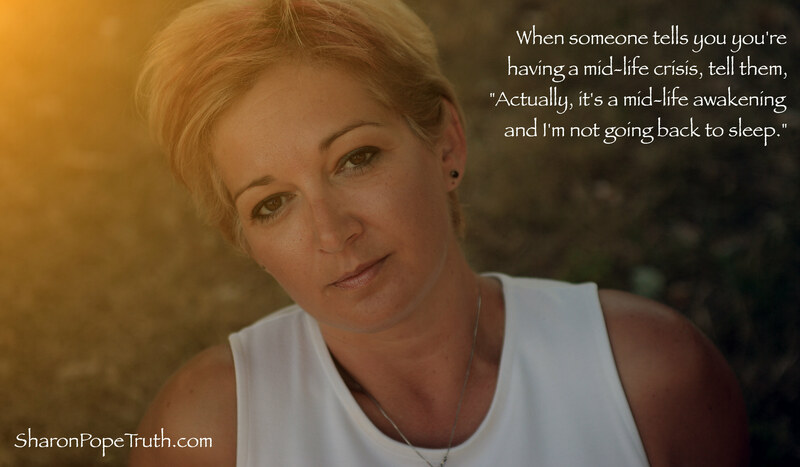 Here’s the problem: Just simply putting the label mid-life crisis on our experience makes it seem like it’s something that’s happening to us and beyond our control (like menopause). It also minimizes our experience and diminishes the importance of our journeys. This is not like a common cold that will eventually pass. And although it may feel like we’re in the midst of a crisis, I like to think of it more as a mid-life awakening. We’re finally giving ourselves permission to honor our needs and let our light shine – brightly, abundantly and unapologetically. 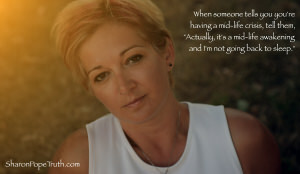 When someone tells you you’re having a “mid-life crisis,” they’re telling you their story, not yours. Yours is a story of evolution, of profound change and inspirational growth. Yours is a story of becoming the highest expression of yourself.